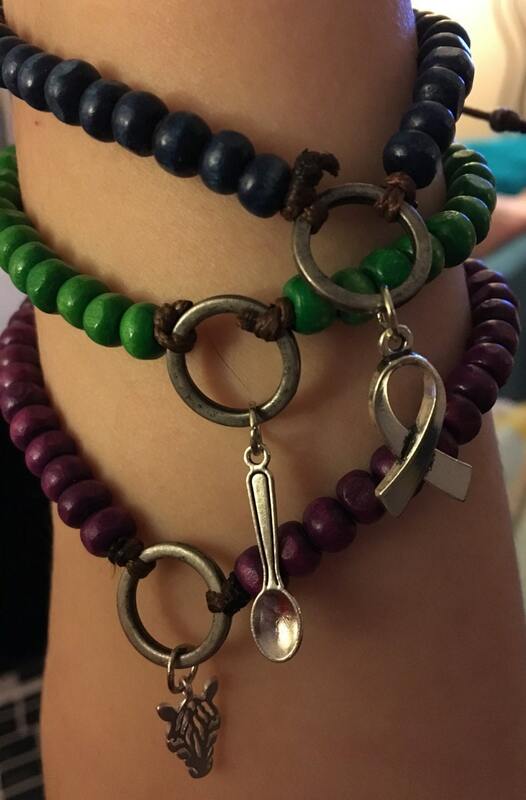 Three beaded bracelets (one green, one blue, one purple) with an adjustable string. 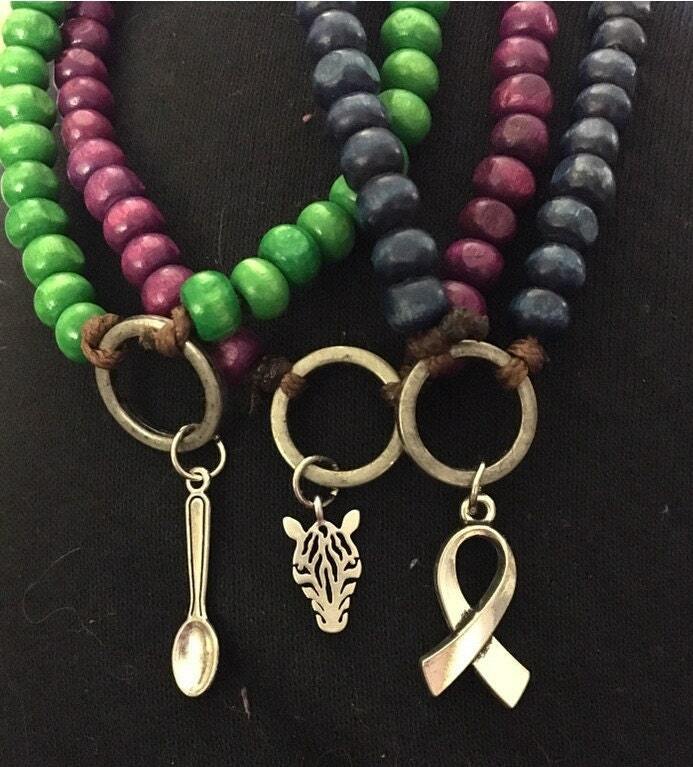 Each bracelet has a charm (one zebra head, one awareness ribbon, one spoon). Zebras represent rare diseases and illnesses! Spoons often refer to "spoonies" who are people with chronic illnesses!